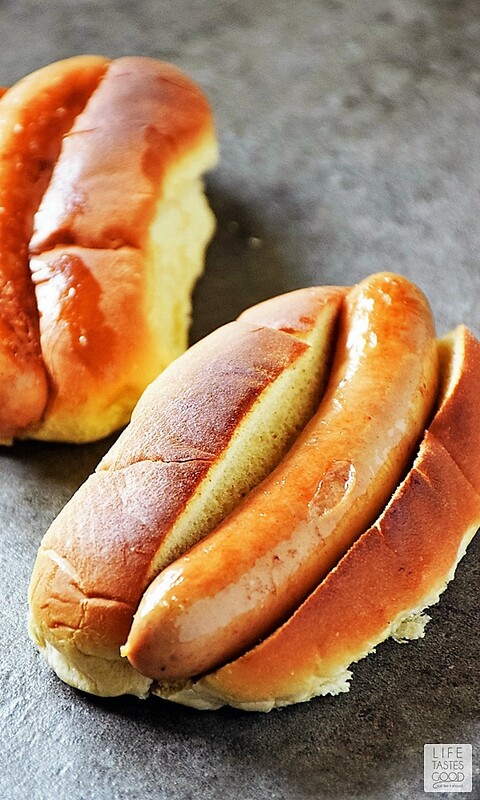 Ask 3 different people and you'll most likely get 3 different answers about How To Cook Hot Dogs, but no matter how you cook 'em, that first bite of summer always tastes the best. 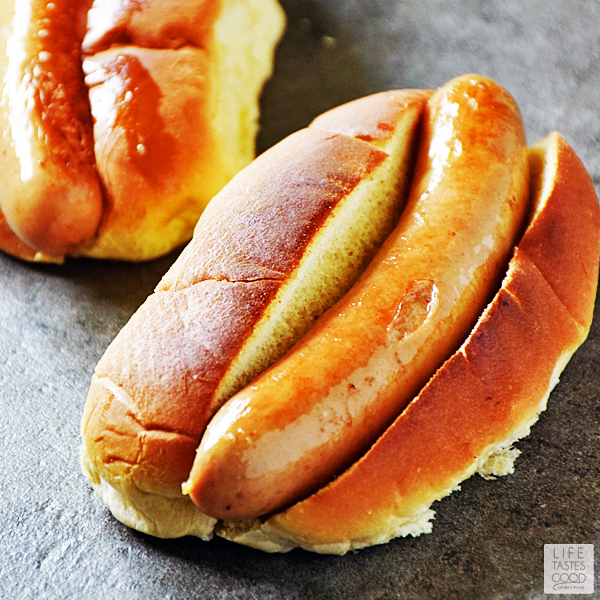 We don't typically indulge in hot dogs, but like many, it is hard to pass up a deliciously grilled hot dog in the summer or a boiled hot dog that's been steamed with the bun to ballpark perfection. I know there is a lot of debate over hot dogs and what goes into them, but if you buy all natural, uncured hot dogs you won't get all of those unwanted nitrites. That's a good thing and makes me feel better about indulging every so often. I'm sure many would be willing to debate the best way to cook hot dogs, and I admit, I like them cooked in a variety of ways. I'm just here to show you one that doesn't involve standing over hot coals in the FL heat or heating up a big pot of water. Both produce a delicious hot dog, but I like to cook hot dogs in a skillet. 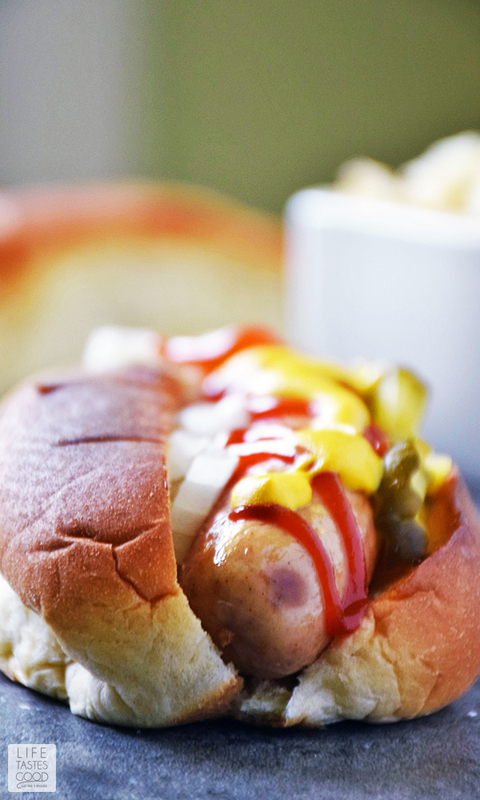 It's quick and easy and produces a crisp hot dog with lots of flavor. Heat a skillet over mid-high heat, and add just enough water to cover the bottom of the skillet. 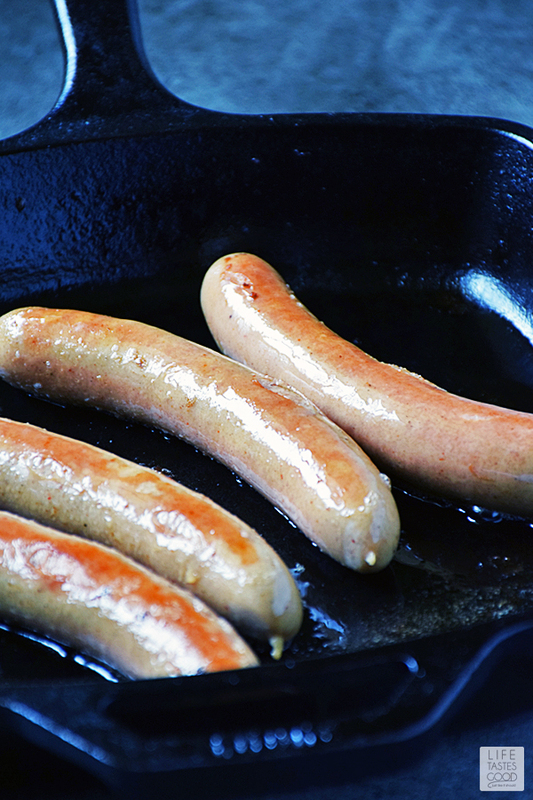 Carefully place hot dogs in the skillet and allow them to cook until the water is evaporated. Roll them around a little during this time. 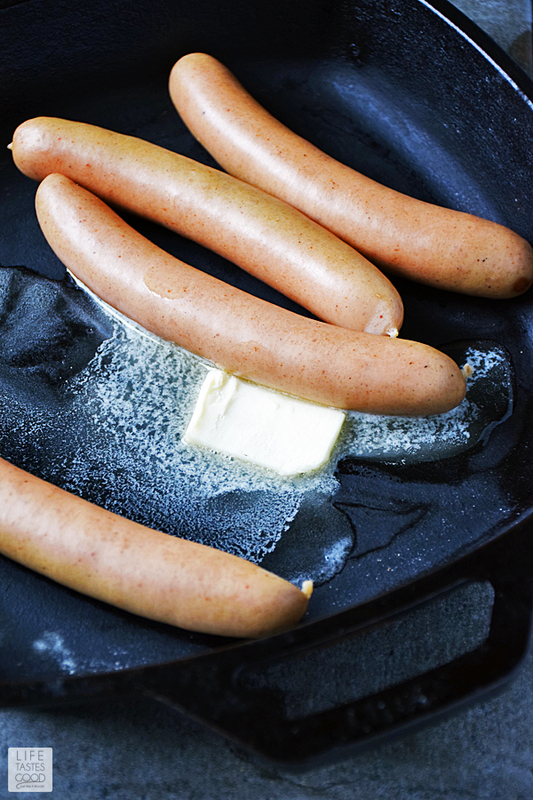 once all the water evaporates, add a pat of butter and cook the hot dogs a little longer to brown them. Cooking them all in one skillet is easy and quick. I don't have to mess with the grill or wait for water to boil. Yes, I'm lazy like that sometimes <smile>. Toppings for hot dogs are a very personal choice. Even more so than how to cook hot dogs. We like our traditional backyard summertime hot dog loaded with Homemade Bread and Butter Pickles, diced onions, tomatoes, ketchup, & mustard. However, when we're feeling really special, we go all out and enjoy one of my fancy gourmet hot dogs. 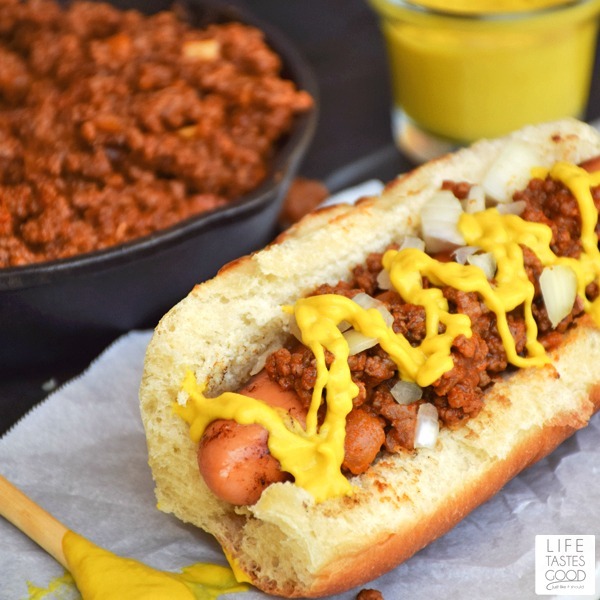 There's really no wrong way to enjoy hot dogs, so why not give them all a try and decide for yourself! Don really loves the Banh Mi Hot Dogs. 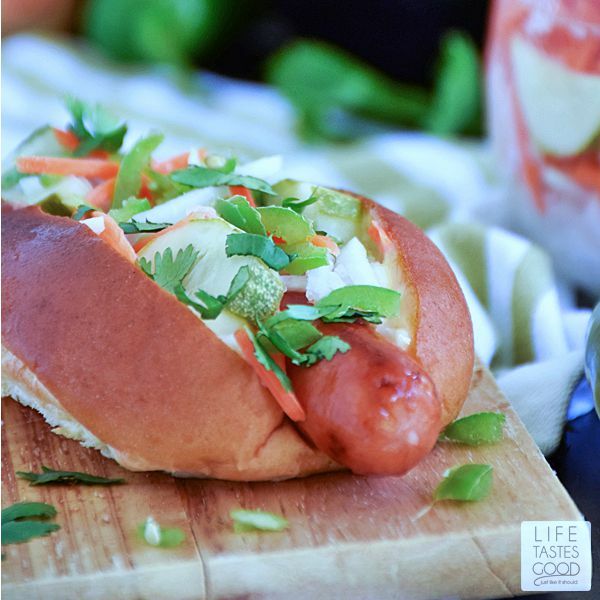 Inspired by the Banh Mi Vietnamese sandwich, this recipe takes the humble hot dog to a whole new level of gourmet deliciousness! 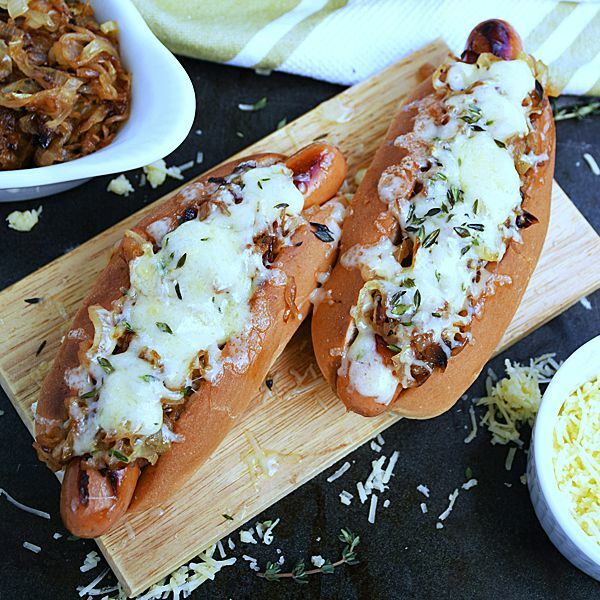 When we have a little extra time to caramelize some onions, my French Onion Hot Dogs are just like the ever popular French Onion Soup, but in a handy bun and extra delicious because it's a hot dog!! Last, but certainly not least, is the classic Coney Island Hot Dog. 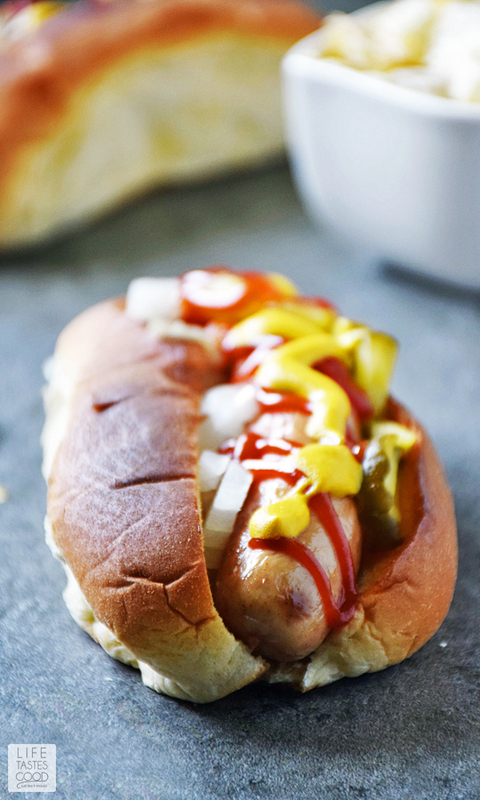 Topped with a meat relish, onions, and plenty of yellow mustard. They remind me of a chili dog, but no beans! These hot dogs are loaded and tasty! In a skillet over mid-high heat, add enough water to cover the bottom of the skillet. 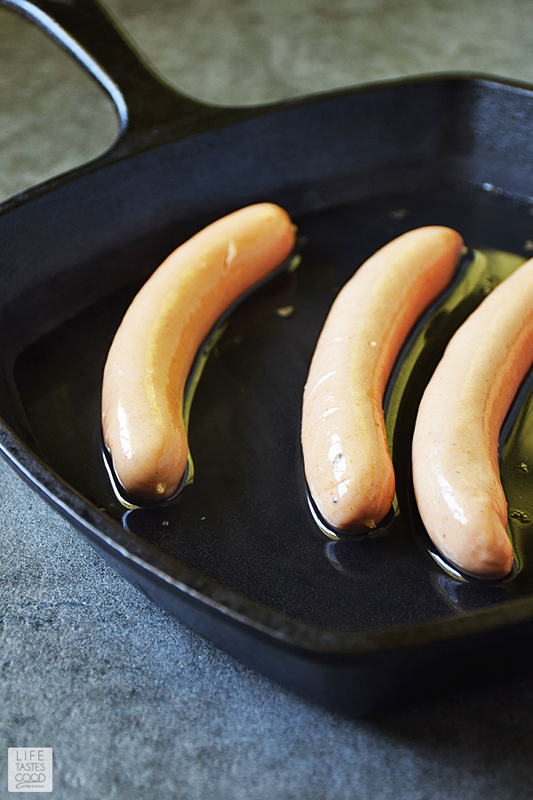 Carefully place hot dogs in the skillet and allow them to cook until the water is evaporated. Roll them around a little during this time. Lightly toast the buns while the hot dogs are cooking. Serve topped with your favorite toppings and enjoy! omg! 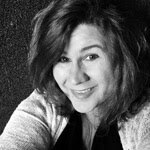 Your post should not be titled how to cook them, it should be titled how to dress them! Your hot dogs look amazing! YAY!! I'm not alone!! I love how easy it is and, seriously, they taste awesome! What a great post! It's so complete. All your pics with the variety of fixings really satisfy. And I couldn't agree more when you say there's something about the first bite. 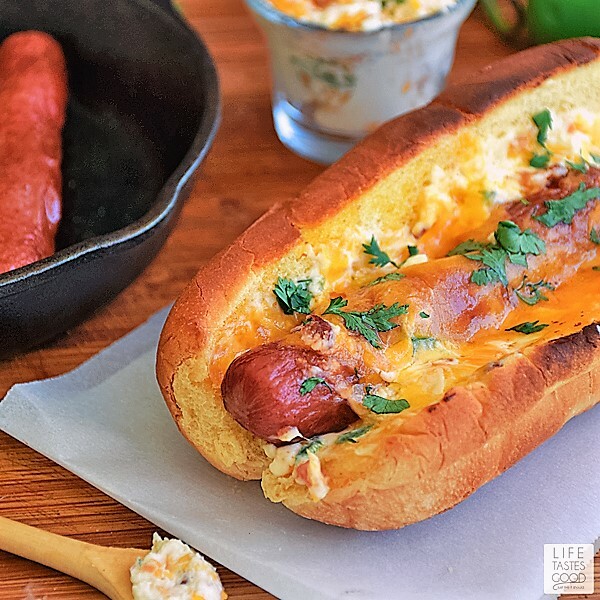 I've never been a big hot dog fan (too many summers working the local pool snack bar, which was permeated with the smell of hot dogs), but my family loves them -- thanks for the tips! Thanks for participating today! Getting them anyway you want is definitely a plus! We don't have too many hot dog places around here. There's one on the beach, but that's about it. Love this! Great collection of recipes too! Thank you, Ted. I agree! Knowing how to cook up a dog without a microwave is an essential life skill ;) Now go make a hot dog and top it like there's no tomorrow. We eat a lot of hot dogs around here during the summer months. I like the natural casing franks that crunch when you bite into them.